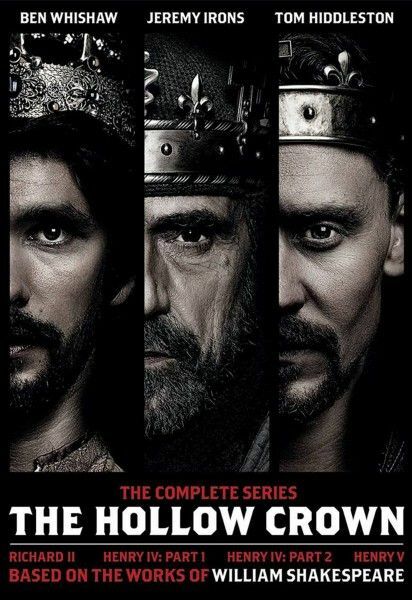 Airing on PBS’ Great Performances, The Hollow Crown is a lavish series of filmed adaptations of four of Shakespeare’s most gripping history plays – Richard II, Henry IV Parts 1 and 2 and Henry V – which tell the rise and fall of three kings and how their destiny shaped English history. Filmed on location in England between summer 2011 and spring 2012, Ben Whishaw, Jeremy Irons and Tom Hiddleston are supported by a phenomenal cast including Rory Kinnear, Patrick Stewart, David Suchet, David Morrissey in Richard II, Simon Russell Beale, Michelle Dockery, Julie Walters and Maxine Peake in Henry IV and John Hurt, Anton Lesser and Paterson Joseph in Henry V.
Collider recently had the opportunity to sit down with Tom Hiddleston to chat about all things Shakespeare, and I was immediately struck by how passionate the actor is on the subject and impressed by how he can recall speeches, seemingly at will. During the interview, he talked about how he got involved with the epic project, why it appealed to him, working with such a fantastic cast, his love of the theater, and why hearing the language of Shakespeare is like listening to great music. 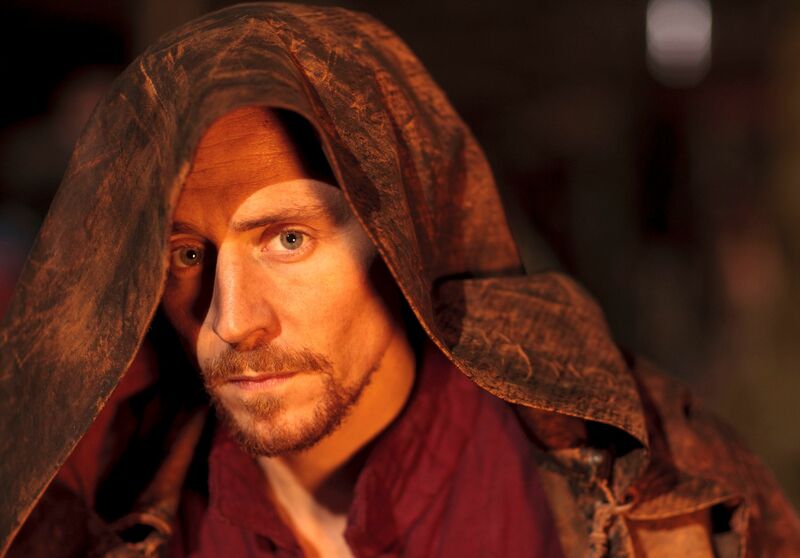 He also talked about the parallels between Shakespeare and Loki (the character he plays in the Marvel universe films), and how humbled and proud he is of the reaction the character has gotten, as well as how excited he is to get back on stage to play the title role in Shakespeare’s searing tragedy of political manipulation and revenge, Coriolanus, running at the Donmar Warehouse in London from December 6th through February 8, 2014. Check out what he had to say after the jump. Collider: How did this come about? TOM HIDDLESTON: I was back in London, and this is the god’s honest truth, I was about to get on the plane to come to the L.A. premiere of Kenneth Branagh’s Thor in May 2011. At the time that I was packing, Prince William was marrying his bride, Kate Middleton, and they were becoming the Duke and Duchess of Cambridge. In the middle of the ceremony, Sir Richard Eyre called me and said, “Would you like to play Prince Hal in Henry IV Part 1 and Part 2, which I’m directing for the BBC?” And I’d dreamed of playing Prince Hal. 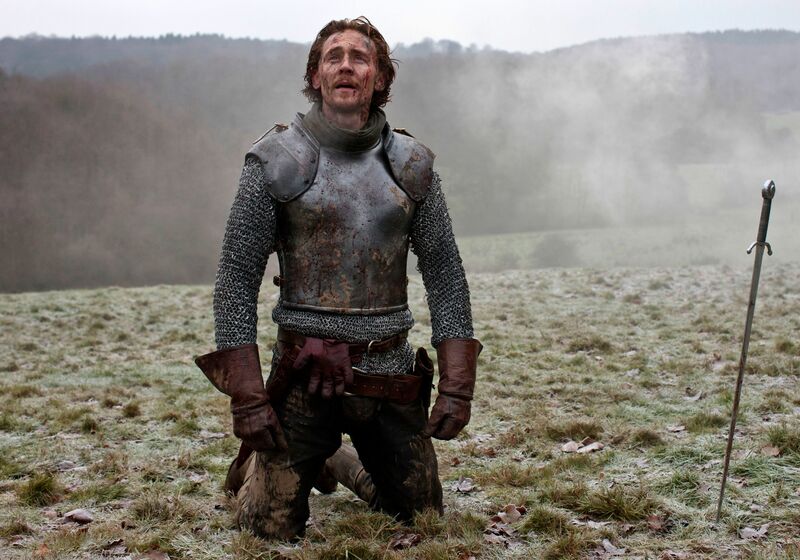 Prince Hal is just one of those amazing roles in all dramatic literature, for a young man. He undergoes the great classical arc of the wild and indulgent rebel who is testing his limits and stretching his boundaries, and then eventually taking responsibility and becoming the man that he becomes, which is one of the great warrior kings of England. As a story arc, it’s basically perfect. I’d always dreamt of playing it. And he told me that Jeremy Irons was playing Henry IV and Simon Russell Beale was playing Falstaff, and Richard Eyre is someone that I’ve respected all my life. He was running the National Theatre when I was in my teens, and the National Theatre is an incredible institution of creativity and courage and community in London. It really binds a lot of actors together in the most extraordinary way. I saw Judi Dench at the National. I saw Ian McKellan in Ibsen. I saw Vanessa Redgrave doing a play with Paul Scofield, called John Gabriel Borkman. I saw Michael Gambon play Falstaff. I saw Simon Russell Beale play Hamlet and Iago. It’s where I really discovered drama. It’s where my passion for acting came from. There’s another strand to that passion, which is of course that I love movies. I was inspired by Indiana Jones, Superman, The Godfather, Saving Private Ryan and Taxi Driver. I loved movies, but movies were made in America, in my mind. So, my great passion for acting was born out of a lot of theater going, as a teenager, and under the aegis of Richard Eyre. So, to have him call me up and say, “Would you like to come and join my company, and play the great young man’s part?,” was amazing. I don’t know if he did it intentionally, but there was this extraordinary symbolic moment of the young prince getting married and becoming the future king, and then him calling me and saying, “Off we go.” That’s how it came about, really. What was the appeal for you to do this, at the point in your career that you did it? HIDDLESTON: I knew I was going off to shoot The Avengers that summer, and then I would come back and we would shoot these three films in the winter. It was just one of those things, as a British actor. It was a privilege to be asked. Sam Mendes had approached the BBC and had said, “I would like to do as many Shakespeare plays on film as you will allow me to do,” and they said, “No.” And then, they said, “London is hosting the Olympics. Why don’t you pick four, and we can make it some kind of cultural Olympiad that’s about national celebration.” Shakespeare is our finest, most sophisticated, most extraordinary artistic legacy. So, he chose these history plays, which are about England. It’s the English language, English kings, the English countryside and our history, and I don’t think anyone said, “No.” That’s why the cast is to die for, with Patrick Stewart, John Hurt, David Suchet, Ben Whishaw, Rory Kinnear, David Morrissey, Julie Walters, Jeremy Irons, and the list goes on and on and on. Just to work with these people was a great privilege of mine. How did you then come to also be in Henry V? HIDDLESTON: While I was shooting The Avengers, they had an idea to cross cast the second batch of films. Richard II had been shot in the summer, and Thea Sharrock and Richard Eyre had the idea that I should play Henry V, as well, to complete the journey. So, that’s how it happened. It was a no-brainer, to be honest. I’m so pleased and proud to have done it. It must have been so cool to really be out on location for this, instead of being limited to what you can do on a stage in a theater. HIDDLESTON: Yeah. You can really be riding a horse, and really riding into battle. There’s no off stage drums and colors. You’re in an actual battle. Does the Shakespearian language come easy for you, or do you spend a lot of time working on it? HIDDLESTON: You have to learn it very, very, very, very well. But I believe very passionately in Shakespeare, as a contemporary and easily accessible and comprehensible language. The trouble with Shakespeare is that, on the page, it does seem alienating, really overly constructed, difficult and florid. But the actor’s job is to digest it, and then just speak it like you’re making it up. And then, you realize that it is very understandable and it is very easy. Once you tune your ear to it, you pick everything up and it’s gorgeous. It’s like listening to great music. You go, “Wow, what an amazing thing!” I think the thing is that the thoughts are actually very simple. In a way, the great enemy to Shakespeare, for me, is people who have over-acted it and made it seem like this big, scary thing that you have to treat with great ceremony. A lot of the way that they speak is very off-the-cuff and very easy. 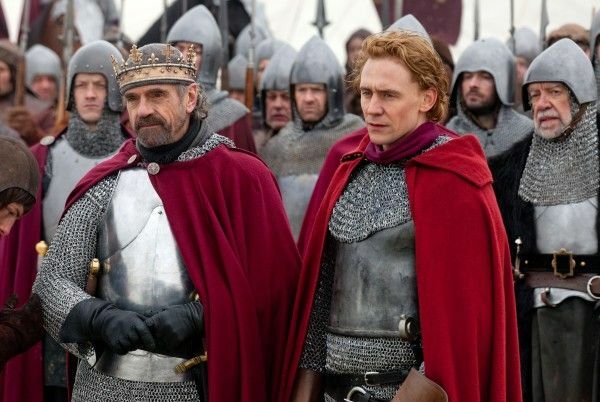 I love it when Prince Hal is taking the piss out of Hotspur in the pub. He’s drunk and he says, “I am not yet of Percy’s mind, the Hotspur of the north, he that kills me some six or seven dozen Scots at a breakfast, washes his hands, and says to his wife, ‘Fie upon this quiet life! I want work.’” He’s taking the piss out of this salty, sturdy warrior. It seems very contemporary to me. Harry Percy, Hotspur, has this amazing reputation as a warrior, and he’s taking the piss out of him saying that he probably gets up and kills Scotsman for breakfast ‘cause that’s what he does. And that makes me laugh. 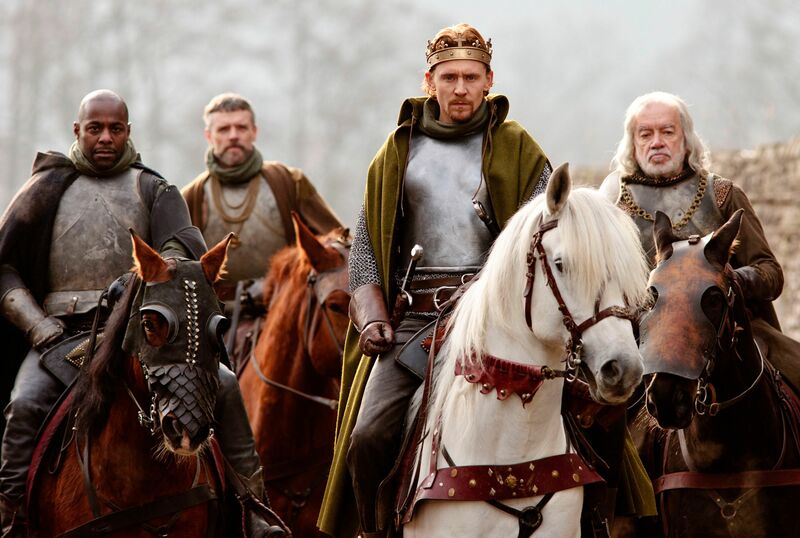 In Henry V, for example, the big speeches are born out of narrative. The English army, like any army, are besieging a French castle and they make a breach in the wall. They basically get a battering ram and make a gap in the wall, and then all the French come tearing out of the castle and the English run away, and Henry’s response is, “Once more unto the breach, dear friends, once more. Or close the wall up with our English dead!” It’s like, “We either go through the wall, or we close the wall up with dead bodies.” And then, it’s just the most incredibly inspiring speech, “In peace there nothing so becomes a man as modest stillness and humility. But when the blast of war blows in our ears, then imitate the action of the tiger.” It’s an extraordinary thing to say, “In peace time, be gentle, be kind, be humble. But when it’s war, unleash the beast.” That’s what he’s saying. You couldn’t write it better than that. I get very passionate about it because it just seems so modern. It seems like any coach in a locker room, or any group of underdogs who are down on their luck and seem to be facing some insurmountable obstacle. It fires me up. Your appearance as Loki at Comic-Con was absolutely brilliant. When you started with that character, did you have any idea that it would have the reaction that it’s had, and that people would be petitioning for Loki to get his own movie? HIDDLESTON: I had no idea, whatsoever, honestly. I knew I had a gift of a role, when I signed up to play Loki for Kenneth Branagh. It’s Hal like, in many respects. Or maybe Thor and Loki are both sides of Hal, in that they are both born princes who are wrestling with an authoritarian father, and are both finding their own ways of rebelling against him. And it’s no accident that Kenneth Branagh has played Hal in Henry V. It’s in his DNA. But also, Ken and I were borrowing from other Shakespearian tropes, like Cassius in Julius Caesar, who has “a lean and hungry look.” And there’s Iago’s capacity to turn things to his advantage, in a very spontaneous and quick-thinking way. Iago is the great Shakespearian tactician and strategist, and Loki definitely borrows from that. But in terms of the affection that he’s held in by audiences and by fans, it is incredibly surprising and really, deeply humbling. I’m so proud. I never dreamed that I would ever create a character that was so loved, or whatever he is. I’m not quite sure whether he’s loved, but people are fascinated by him. They seem to enjoy his existence. It’s cool. Comic-Con was very cool. It was an amazing experience. It probably seems like some kind of fait accompli, but when I was standing in the wings, I didn’t know the crowd was going to respond like that. I thought I might get something, but I didn’t know that they were going to start saying my name, before I told them to. It was really, really fun. It was more fun than should be allowed. HIDDLESTON: It was a combination of myself and Kevin Feige. He pitched it to me and I said, “Okay, here’s how it should go down.” And then, we built it from there. Are you excited to get back on the stage again with Shakespeare, for Coriolanus in December? HIDDLESTON: It was actually doing these films that made me realize that, as soon as I possibly could, I had to find a moment to get back. The text and the writing is so rich, and the feelings are so big. It all feels like you are excavating human nature, at its most eternal and ancient. Human beings haven’t changed. Shakespeare is basically drawing in the biggest shapes available, as a writer, and with the most breathtaking language that’s ever been written. As an actor, performing it on film, we had such a short time to make these films. We shot each film in four and a half weeks, and once it’s in the can, it’s in the can. You don’t get to do it again. The beauty of Shakespeare is that it’s so rich that you go to bed at night and you wake yourself up thinking, “Tonight, I’m going to try this. I’m going to try this idea. I’m going to try to expand this metaphor or address it to this character or play it bigger and broader.” And then, maybe the next day, I’ll play it smaller. You get to test and stretch and expand the shape of the writing, and you only get to do that by doing it over and over and over and over and over and over and over again, in the theater. And as evidenced by Comic-Con, there is an unrepeatable and unique chemistry between an actor and a live audience. That moment at Comic-Con was as much to do with everybody else in that room as it was to do with me. So often, in the theater, audiences don’t know that they are complicit in the chemistry of the show that night. Their quality of listening and their quality of engagement always enhances or diminishes the show itself because we can feel it. It’s a real relationship. And I love that. I will do Coriolanus a hundred times, and it will never be the same because it will depend on who’s in the crowd that night. There’s nothing like a live gig. The Hollow Crown airs on Friday nights on PBS, from September 20th through October 11th.